We are two brothers, Justin and Kele Dobrinski, and the proposal that our team has submitted for The Commonwell is under consideration by Placer County. We have until April 23rd to rally support before a final decision is made by the county board of supervisors. Growing up in the Sierra Foothills, the majestic lake and surrounding Sierra mountains is something we’ve treasured - and something we feel strongly about helping to preserve for younger generations. 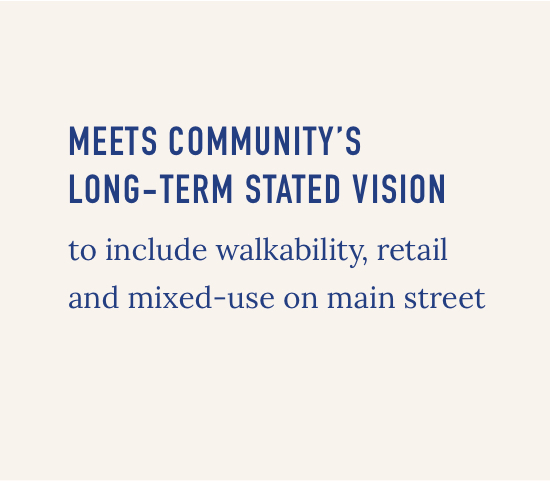 Thus, designing a project that will both stimulate the local economy, serve the community and respect the environment requires a thoughtful and balanced approach; one that mixes community space, food, retail and recreation, and one that is worthy of occupying this incredible location. 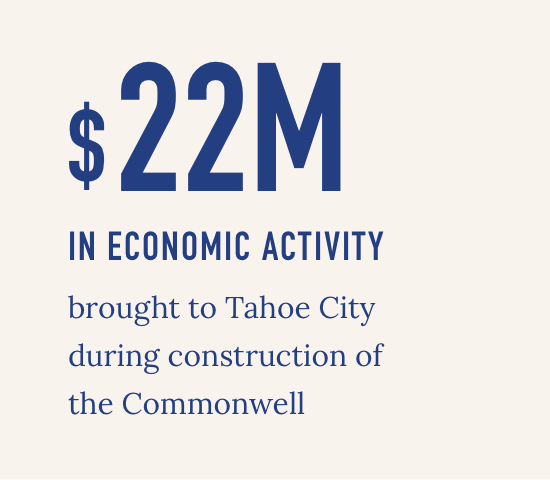 We believe the Commonwell is the right type of project for Tahoe City. One that equally serves the local community, small businesses, and visitors to the North Lake region. We hope that you will take a moment to read this proposal. If you are inclined, feel free to reach out and ask us questions or comments about the project. And if this project resonates with you, adding your name to our list of supporters would be greatly appreciated. 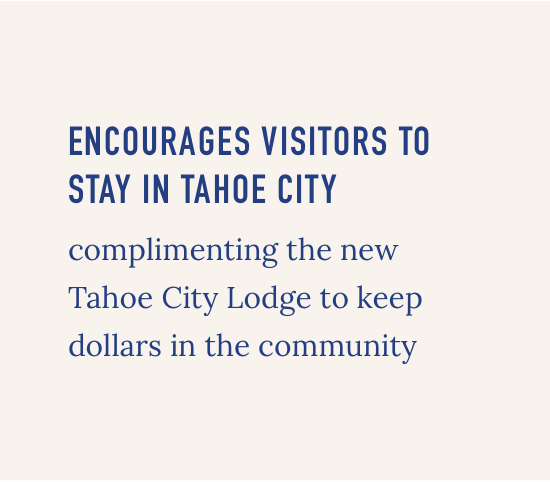 The Commonwell reimagines the heart of Tahoe City as a must-visit destination that brings together community spaces, food purveyors, local retail and recreation. 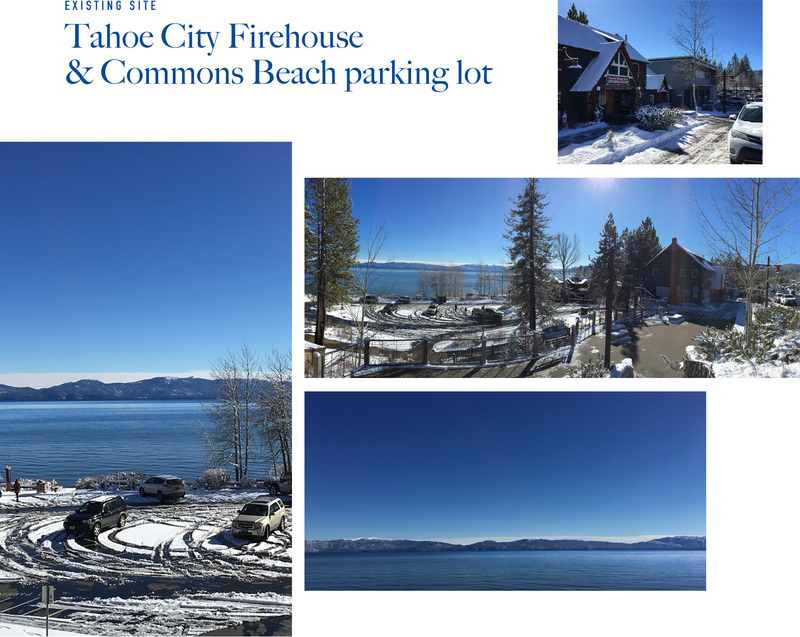 The project will involve a true public-private relationship as a groundbreaking waterfront development that turns pavement into green space, creates local economic stability, and both visually and functionally embodies the spirit of Tahoe City. This proposal is in response to the RFI put out by Placer County. The city is looking for a project that will transform the existing firehouse and community center in a way that brings people together, provides economic stimulus to the area, and serves the diverse needs locals and visitors alike. 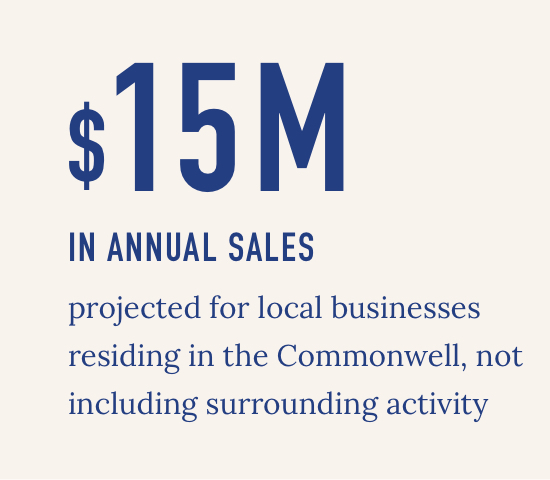 "a community of shared interests"
The Commonwell's name - and its vision - plays upon the word commonwealth, “a community of shared interests” and sits adjacent to Commons Beach. The word “well” evokes the idea of wellness and the age-old tradition of gathering at a local watering hole, where stories and experiences are shared. The Commonwell market hall will house a mix of food purveyors, local retailers, restaurants, community event space, and wellness concepts like a Japanese-style bath house. Low water levels and temperatures at Commons Beach can make it un-swimable. A year-round heated pool with an incredible view will give the community access to a feature that’s normally tucked away in expensive resorts. Whether it serves as a tiered seating area for concerts in the park, or just a place to sit on the hillside and look out at the lake, this creates an elevated open vista point, open to the general public. The market hall opens up to a large plaza deck overlooking the lake. This deck can serve as a beautiful setting to hold local art festivals, morning community yoga and other public events. 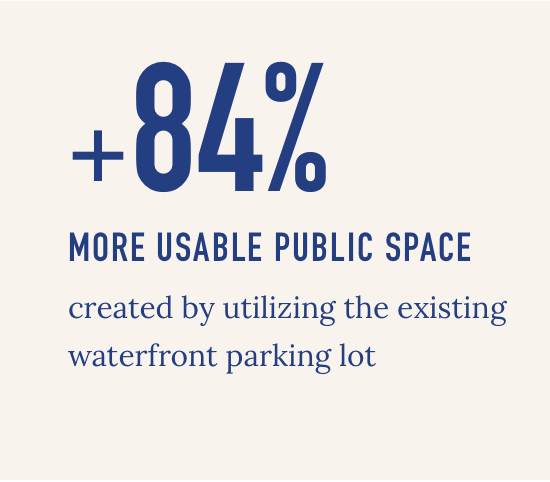 In creating a more contiguous waterfront park space, we will incorporate a bike path that more logically winds through the park and arrives at both the entrance to the market hall as well as the TART ‘Wye’ transfer stop. 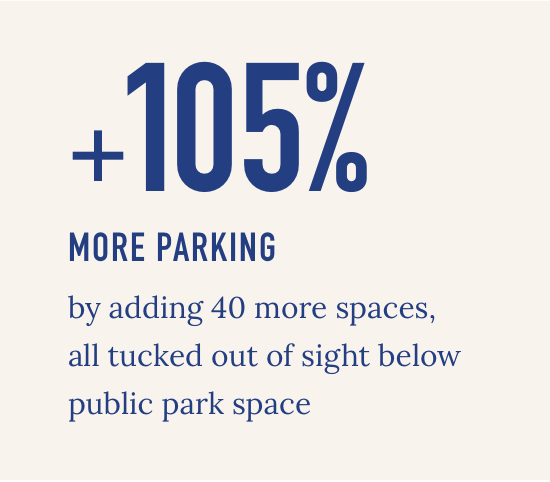 Below the Commonwell development is a ground floor parking garage with elevator access that will more than double the number of spaces in the existing lake-level lot. Justin Dobrinski is owner of Adobi Ventures and a native of Grass Valley. Established in 2009, the commercial real estate brokerage company handles sales and leases of retail and office investment properties across northern California. Prior to starting Adobi Ventures, Justin worked with Brown Stevens Elmore & Sparre where he brokered the sale of the Crystal Cream and Butter Plant, the largest piece of land sold in downtown Sacramento in over 50 years. Previously he worked with The Watkins Company, his family’s real estate development and property management company. Kele Dobrinski has over 15 years experience as a creative entrepreneur. Originally from Grass Valley, his Sacramento based studio, D.kele, specializes in branding, advertising and digital product design. Notable clients include: Apple, Nike, Google, Volkswagen and Ray-Ban. In 2011, Kele co-founded PICT, a social commerce company that was backed by investors like Chris Sacca, Gary Vaynerchuk and Kristin Green. The company was acquired two years later by ShopStyle, a Rakuten-owned company. Prior to that, Kele worked as a Design Director, consulting with various ad agencies in San Francisco and New York including TBWA/Chiat/Day, Weiden + Kennedy, Goodby Silverstein + Partners and Venables Bell & Partners. Jordan Knighton, founding partner of JK Architecture + Engineering, is an award-winning architect recognized for innovative ideas and sensitive design solutions to Civic & Public Works architecture. Jordan has over 40 years of expertise in architecture and construction involving programming, design, production and construction administration for civic & public works facilities throughout NV and CA. Jordan started his first Tahoe office in Incline Village in 1984 and has decades of experience in regional high-altitude design. Jordan has an extensive background in 21st century environments, sustainable and transformational design, and community collaborative design. His expertise has led to significant recognition of client success and architectural awards on local, state & international levels. Brandon Padron established Menlo Park based Studio Padron in 2012. The practice focuses on architecture, interiors and furniture design and offers design services to residential, commercial and hospitality clients. Brandon has practiced for over 14 years as a member of esteemed international architectural design offices such as Foster + Partners, Adjaye Associates and Studio Daniel Libeskind, where he worked on projects ranging in scale and complexity from single family residences to museums and commercial buildings. Notable projects include the Smithsonian National Museum of African American History and Culture in Washington, DC (opened in 2016), and Apple’s new corporate headquarters in Cupertino, CA (opened in 2017). He is a licensed architect in California, New York and Florida and a member of the American Institute of Architects. For more than 20 years, Mike Heller has been at the forefront of modern, mixed-use design as the founding principal of his Sacramento-based development company, Heller Pacific. His body of work is well-known throughout the west coast, notable, award-winning projects include: the Elliot Building, where his team converted a historic 80-year-old car dealership into Sacramento’s first integrated mixed-use building as a public/private joint venture; the re-imagination of the Ice Blocks, a massive mixed-use, live-work-play site at the heart of Sacramento that has been heralded as a catalyst for the city’s Midtown revival; and the transformation of a deteriorating warehouse into the vibrant arts/retail/restaurant seen in the MARRS building on 20th street. Heller Pacific has also led numerous residential projects throughout Northern California, including re-inventing the idea of “mountain modern” with the Flight House, a Martis Camp home which received the 2015 AIA Central Valley Chapter Design Award. Nathan Wieler is the founder and CEO of Douglas Sierra, an idea-driven real estate development company working in the Tahoe region. The company is developing Norden Cross, a Scandinavian-inspired alpine village on Donner Summit. Wieler’s 20+ year background as an entrepreneur spans media, technology, and real estate with a history of visionary projects. In the 2000s Wieler was the co-creator and owner of the “dwell home” project credited with sparking a national movement in modern prefab housing. He then pioneered a concept called “development supported agriculture” for his Harvest farm community project, which has become a nascent movement in real estate development. Wieler builds modern prefab homes and design communities and his projects have received national recognition and design accolades. Wieler holds a BS in chemical engineering from University at Buffalo. On April 24th, the board of supervisors will make a decision on this project. If this concept resonates with you, adding your name to our list of supporters would be greatly appreciated.